14 SIGNS THAT YOUR RELATIONSHIP MAY BE OVER! We invest so much in our relationships that it can create an emotional burden of trying to decide to end the relationship for good. There are some red flags according to experts that signaling that your relationship is about to end. 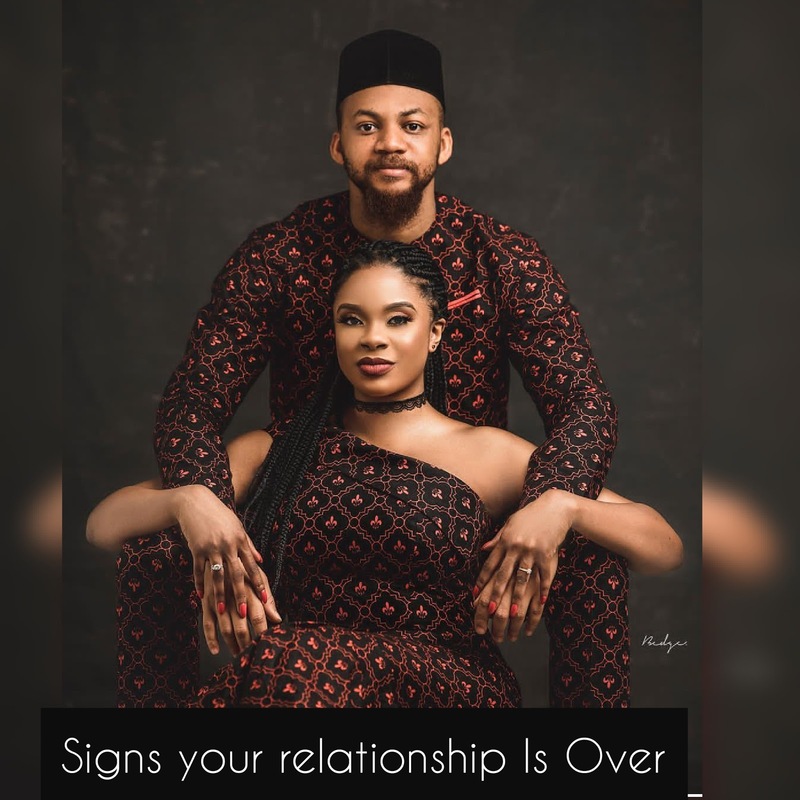 Knowing the signs your relationship is about to be over might not be enough to know if it is about to end. If the small things that never used to bother you,now you make that fight a big deal and it will never end.Then, this is a sign that your relationship has developed an unhealthy dynamic and may be going in the wrong direction. Communication is so essential to a relationship, that the lack thereof can be a sign that the relationship may be over. 5.No talking about Future plans anymore and you can't picture your future together. 7.You can't forgive each other anymore. 8.Everything they say or do sets you off. 9.You start to hate their habits. 10.One partner never supports the other. 11.You Are No Longer Number One. 13.You get depressed, fearful, anxious, frustrated, angry. 14.You Notice Their weaknesses More Often Than Their Strengths. fashenista: 14 SIGNS THAT YOUR RELATIONSHIP MAY BE OVER!